ADA COUNTY, Ida. 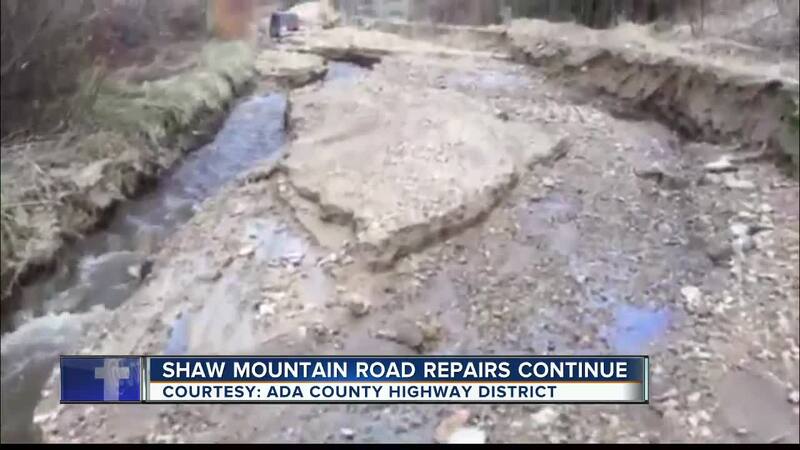 — Ada County Highway District crews continue to work on repairs to portions of Shaw Mountain Road. Parts of the road were damaged after heavy rains. A creek breached its banks in three locations, eroding part of the road last week. Crews have already repaired the three breaches and are now regrading the road. Shaw Mountain Road is closed from Rocky Bluff Lane to three and a half miles up. The public is encouraged to avoid the area as repairs continue. Those repairs are expected to wrap up by the middle of the week.